When used together, a pair of cancer medications can shrink tumors in 60% of patients with advanced-stage melanoma. During an international trial involving 945 patients, UK doctors discovered that ipilimumab and nivolumab can cue the immune system to attack cancerous cells. Unfortunately, the drugs’ side-effects are amplified. 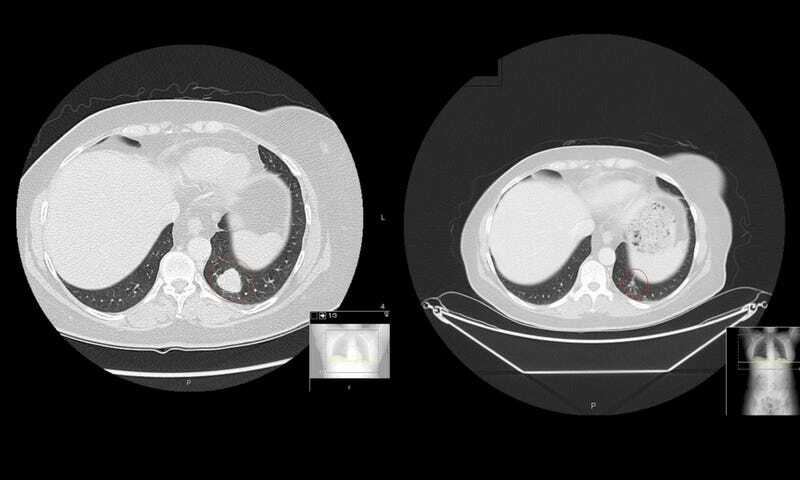 Image: A patient’s CT scan before treatment (left) and 12 weeks after initial treatment. Photograph: Royal Marsden via The Guardian.